at the checkout and instead of £69.99 you only pay £59.49 and it's free delivery too. Ideal for the festival season. cant find this tent anywhere else for pricing? has anyone tried putting this up? Not yet - was just going to wing it when I take it for it's first outing in two weeks ! BTW - it's now £199.99. Expired. 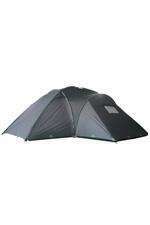 You won't find the tent anywhere else for pricing because MW only stock their own brand goods. It's a decent tent, now full price, probably not worth £200 though. Deal posting newbie! This is roydbrown first deal post. Help out by leaving a posting tip or just to show your appreciation for their contribution.